Rant #1: Wow, really? In 2010 we are still having GOP candidates promising to make abortion completely unavailable to women, no matter what? If you’re raped and become pregnant, too bad, you will carry the baby! If you’re pregnant and might die if you carry the baby to term, too bad, you will carry the baby! Yo, religious right, Christian Taliban Candidates, wake up! This is not something that the government should decide. Abortion is a viable option under certain circumstances, and each woman should have the right to make those hard choices. 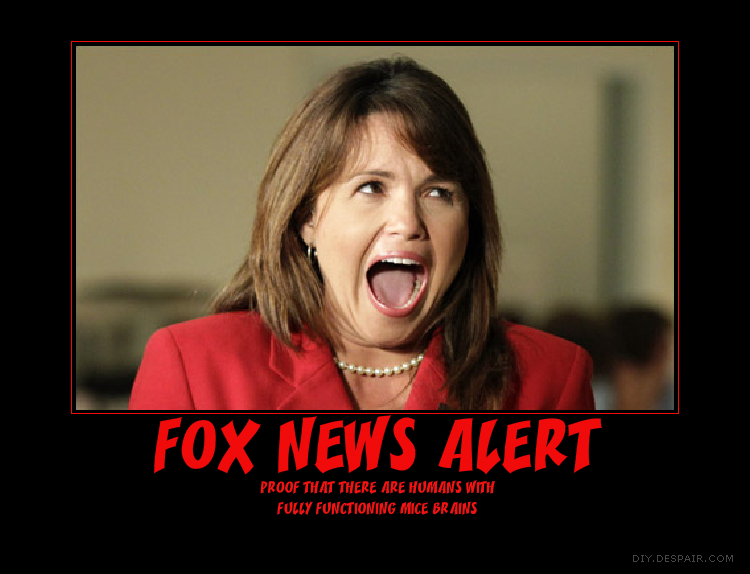 Not Ken Buck or Sharron Engle, and definitely not Sarah Palin. Rant #2: Our country has real problems, and what are GOP candidates focusing on? Gays in the military, abortion, and tax cuts for the wealthy, all while voting against bills to increase pay and allowances to troops, whom they claim to honor and support. Personally, I don’t care if the troop next to me is gay. I’m tired of guys like Limbaugh, Hannity, O’Riley etc making this an issue. By-the-way, none of these so-called “great Americans” could ever take the time to serve, even though they “claim to love America”. Abortion is established federal law. Get over it already. While I personally think its use as birth control is inexcusable in 21st century America – it is a viable choice for many other reasons. Maybe the GOP should spend more time vetting its so-called “family values” candidates and spend less time worrying about gays serving in the military and women having abortions. Rant #3: Enough with all the “birther” crap. He was born in the United States. Read a frickin map and you’ll see that Hawaii is one of our states. Has been since, oh I don’t know, 1959? 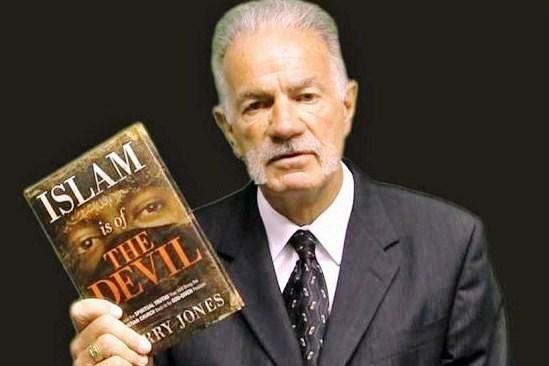 He is a Christian, and so what if he was a Muslim! THERE IS NO RELIGIOUS STANDARD FOR HOLDING OFFICE HERE! This is the United States, a Republic, not some far right wing Judeo-Christian Theocratic Talibanistic Never-Land! Rant #4: He has not been spitting on the Constitution! He is not a communist! He is not deliberately destroying our country! Would you stop, take a breath, and try – as hard as it may be – to think about what the heck you’re saying? Oh wait, I guess thinking has been taken out of the political landscape ever since Rush, Hannity, et al came along. Stop saying you’re going to employ your Second Amendment rights to fix things. You may think you’re being cleaver, but if you continue to talk like this, people are going to get hurt, and people are going die. Talking of rebelling against a freely elected government is not patriotic. It’s ignorant. Because you go out “shootin” with your buds, and dress in fatigues playing” militia does not in any way, shape or fashion make you anywhere near an equal for the United States Military. Stop using phrases like, “time to reload”, and “put them in our sights” or “in the breach”. That is talk that is dangerous and irresponsible and beneath contempt as Americans. GOP Candidate has Higher Security Clearance than the President? GOP Candidate for the Florida 22nd Congressional District ex-Army LTC Allen West who resigned his commission from the Army while facing a Court Martial on charges he had threatened to kill a prisoner in his custody, who had already been beaten by his men, claims he has a higher security clearance than President Obama could obtain? First, hold everything hero. You had a “secret” clearance while serving in the Army. The security clearance every commissioned officer in the Army has to be able to have – and maintain – in order to serve. It’s not like you had super-duper-secret, James Bond license-to-kill authority there John Wayne. Second, no one Sparky has a higher security clearance – in spite of Hollywood movie claims to the contrary – than the Commander-in-Chief. 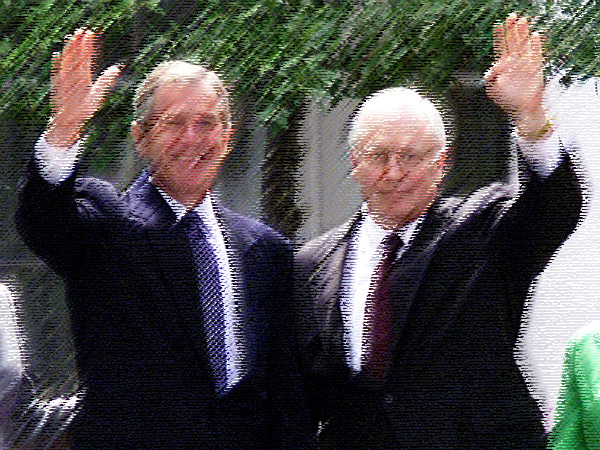 Second, when Mr. West resigned his commission, the reason for his clearance no longer existed, and co0nsidering the circumstances under which he resigned, probably he was no longer in possession of his clearance when he “voluntarily retired”. Third, again considering the circumstances under which you “left” the Army, you probably couldn’t get a clearance now to change the toilet paper in the men’s room. 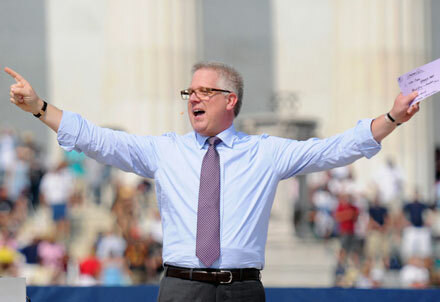 Last week Glenn Beck held his “rally/revival” on the steps of the Lincoln Memorial. It was supposed to be a meeting filled with the Spirit of God; a meeting where people were to see miracles happen. It turned out to be three very long hours of posturing, and declarations of how those there were going to restore honor to America. Beck spoke of telling the truth, and yet his “sermon” was filled with half truths, and out right lies. At the start of the “revival” – in something sounding like the beginning of a joke – Beck invited a Rabbi, two Native Americans and a Pastor to the stage. The Native Americans were announced to be descendants of the Indians who helped the Pilgrims, and the Pastor was announced to be a descendant from the Pilgrims. Why was the Rabbi there? Who knows? He wasn’t asked to give a prayer or to offer a blessing, he was made to stand there as a prop and, with the two Native Americans, listen to a Holy Roller minister declare blessings of Christ and Christianity in the founding and prosperity of America. Beck placed these three people in a position of humiliation and embarrassment. Of course in the revisionist history of America, Jews, the Pilgrims and Native Americans always got along fine. Truth is within two generations the grandchildren of the pilgrims hunted down the grandchildren of the Indians, who saved their grandparents, almost to the point of extinction. No miracle occurred during the rally. No sign came from heaven that Beck has been chosen by God to lead America into some new age of religious enlightenment. As such Beck had to think quickly to come up with some kind of sign. Well, it was soon discovered that someone in the audience had filmed a flock of Geese flying by in a “perfect” V formation. (Which, by-the-way, is how Geese fly, particularly when flying as a flock.) Well, Beck went on FOX News Sunday and began to pronounce how this was a sign from God. “At 9:59 there was a flock of geese that ran, it was a flyover if you will. Someone caught it on tape. Here’s the flyover (referring to the video of the ‘miraculous’ geese formation). This was happening just as the opening music was starting. We wanted to have a flyover, but you can’t flyover the District of Columbia. It was perfect coordination, in perfect timing. Coincidence? Maybe. I think it was God’s flyover. It was not supposed to happen. We couldn’t get a flyover; we couldn’t even get anyone in a military uniform to present the flag, we tried for almost a year. We couldn’t get it done. Thank God we had our flyover,” Pope Beck I declared. There are of course a few things to comment on here. First, the geese weren’t flying over, they were flying away. Second, you couldn’t get any military personnel to participate because the Department of Defense was no doubt reluctant to give any sign of “official” seal to your little show. Third, God works in mysterious ways Brother Beck, not dumb ones. It was interesting that the niece of Dr. Martin Luther King Jr. spoke at a rally/revival where the host has – and continues to – spin fabulous tales of how the president is a racist and how he belongs to racist organizations. If Dr. King were alive today he’d be the subject of one of Beck’s conspiracy chalk board sessions. Beck of course enjoys rewriting history, and his sermon was no exception. Speaking of the Washington monument he asked the crowd if they had noticed “the scar” on the monument; the point at which it changes color. Beck of course went with the mythology surrounding the different colors of stone, claiming construction had stopped with the coming of the Civil War, and only began again after the country was reunited. Facts are that construction ended in 1854 – gee, seven years before Confederate forces fired on Ft. Sumter – due to lack of funds. It resumed in 1879 when funds were available. He also rewrote history when telling the story of the writing of one of our country’s most beloved songs. “The Battle Hymn of the Republic, written here, in a hotel just down the street because you could see over the buildings at that time, they weren’t so high and they could see, and they watched the battle,” Beck said. “That’s where the Battle Hymn of the Republic was written,” Father Beck recounted. The mythology surrounding the Battle Hymn of the Republic has been that Julia Ward Howe went out and watched the Union Army’s rout at the First Battle of Bull Run, and that she returned that night to write the hymn at the Willard Hotel. Beck’s version was that she watched the battle from her room at the Willard. There are just a couple of small problems with Beck’s version. First, it’s 30 miles from the Willard Hotel to Manassas; Howe couldn’t have witnessed any battle from her room. Second, the First Battle of Bull Run occurred 21 July 1861, and Howe wrote the song on an evening in November 1861, not after watching a battle, but after watching a grand review of the Army of the Potomac. Now these could be thought of as “mistakes” in the recounting of history, but Glenn Beck’s tallest tale during his “I have a scheme speech,” was that of holding George Washington’s inaugural address in his own hands. “I went to the National Archives, and I held the first inaugural address written in his own hand by George Washington,” Reverend Beck said. Of course this was an absolute fantasy because the National Archives doesn’t allow just anyone to handle very fragile historical documents. Hello? Hasn’t he watched “National Treasure”? I started to think about what other stories we might have missed? What other stories had been left out due to a lack of time? “The day before going to the National Archives I went to the Smithsonian and there I put on George Washington’s own uniform, and placed his own wooden teeth within my mouth. “I held Julius Caesar’s sword, and wore Sitting Bull’s war bonnet. “I spoke through Alexander Graham Bell’s first telephone, and read Lincoln’s own copy of his Gettysburg Address by the light of Thomas Edison’s first light bulb. “I sat on the Wright Flyer, and within the cockpit of the Spirit of St. Louis, and upon the deck of the Mayflower. During his “rally” Glenn Beck told his listeners, “America is crying out for the truth. Tell the truth in your own life and then expect it from others.” Beck telling others to tell the truth is like Bill Clinton telling others to be faithful to their wives. Up until the rally I used to think Glenn Beck wanted to grow up to be Rush Limbaugh, but now he wants to be Pat Robertson?